Sip robust red wines from storied French chateaus. Stare skyward at centuries-old arches in silent, candle-lit cathedrals. 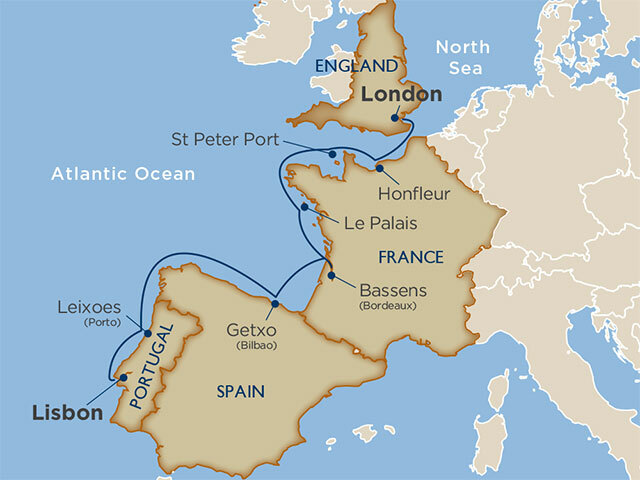 This 10-day, autumn Atlantic cruise along the coasts of Britain, France, Spain, and Portugal is an ideal getaway for anyone seeking popular European destinations without summertime crowds. Set sail from London, where you’ll have an unobstructed view of the changing of the guard at Buckingham Palace and open seats at riverside pubs. 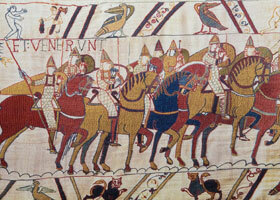 Trace the Battle of Hastings across the 1,000-year-old Bayeux Tapestry and the victory of William the Conqueror over King Harold II. Sip cider beverages paired with local cheeses at an old distillery near Honfleur. Uncover the secret war waged by Guernsey’s island resistance at the La Valette Underground museum in St Peter Port. Slurp freshly shucked oysters with dry Muscadet wines from the western Loire Valley during a delicious stop at the Castel Clara restaurant in Port Goulphar on Belle Ile. Stroll beneath the storied arches of famous classified wine estates and sample exceptional French food during an overnight stay in Bordeaux. Soar high above the priceless Medoc vineyards and sprawling chateaus in St. Émilion in a helicopter. 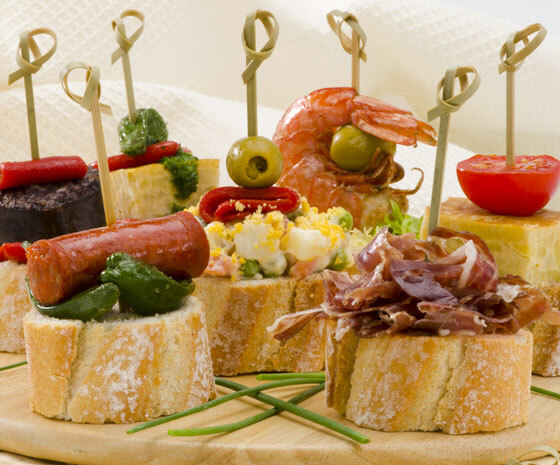 Cook up pinchos, or Basque-style tapas at a Bilbao cooking class or study contemporary art at the Guggenheim Museum. Sip smoky, 30-year-old port and shop the famed Avenida do Aliados District in Porto, Portugal. This journey concludes in Lisbon, where uncrowded streets present opportunities to explore the palace ruins of Moorish São Jorge Castle above the city and the crenelated splendors of Belém Tower down on the waterfront—all in one wonderful autumn day.